Since 1991, Automatic Gate Systems, Inc. has been designing, manufacturing, installing and servicing an ever-increasing variety of highly reliable and cost effective steel and iron automatic gate systems for high traffic industrial applications. Our operators and other gate accessories meet or exceed the most demanding strength and reliability specifications in the industry. We only use the highest quality hardware to complement our custom gate systems including HySecurity’s premier line of industrial grade, gate operators which is ideal for heavy-duty industrial, government, military, correctional and other commercial environments. These operators can handle gates ranging from 1000 to 8000 lbs., and have been tested up to 200,000 cycles without breakdown. 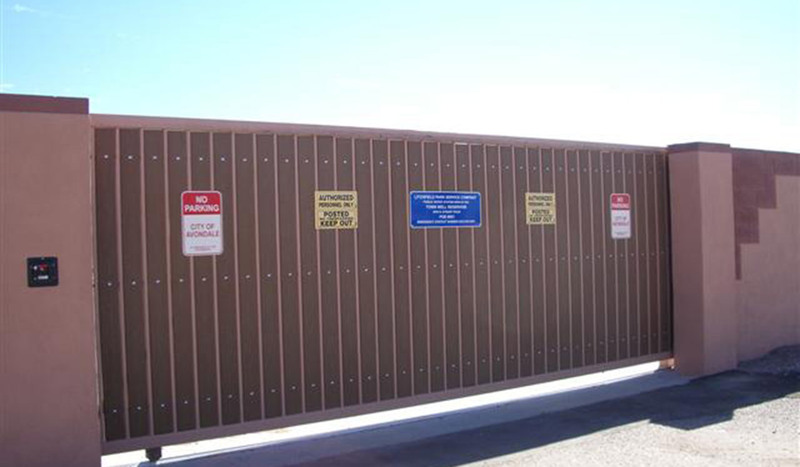 Our custom gates are specifically engineered to our customers’ individual security needs, and our experienced staff has designed and installed more of these types of gate systems than any other gate company in Arizona.